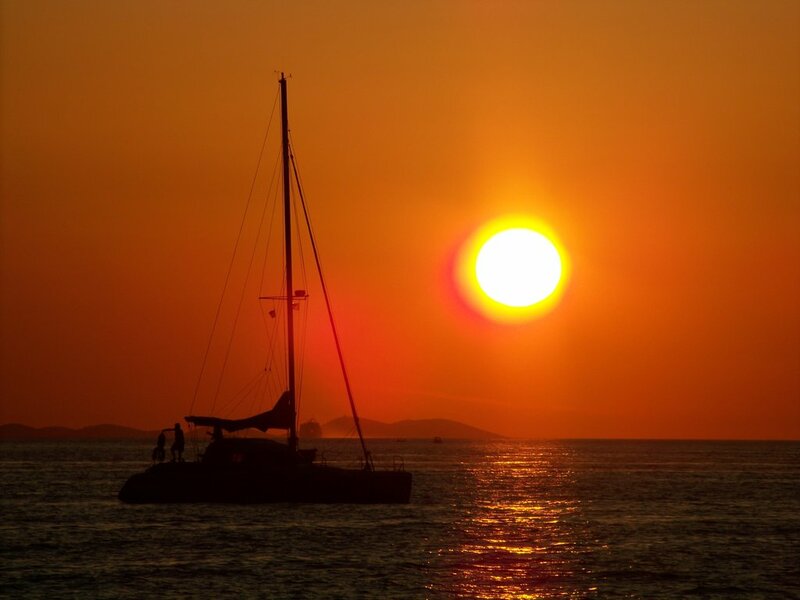 Dear yachtsmen, the Croatian part of Adriatic with over one thousand islands, mild climate and variety of historical and cultural landmarks is a true heaven for real sea-lovers, a unique archipelago which attracts more and more interest all over the world every year. 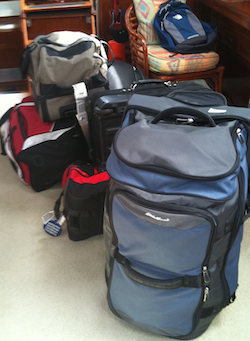 One of the services the nautical aficionados these days cannot do without is information. 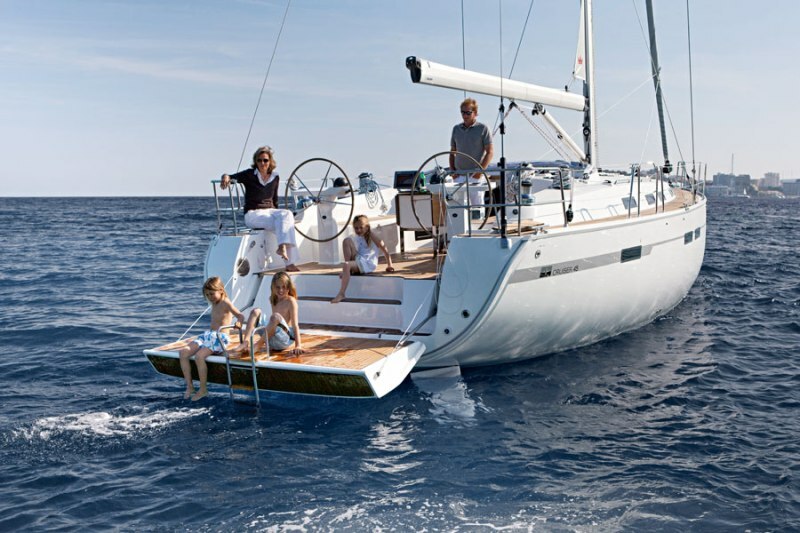 This site will try to provide you with accurate and up to date information regarding all your needs in relation to sailing and and enjoying Adriatic, either in charter boat either in your own boat. Croatia is located in the vicinity of densely populated and industrially developed European countries. It is situated in the South-eastern Europe, stretching from the south-eastern part of Alps, across the Panonian flat and along the Danube river in the East, the Dinaric Alps in the central part, to the Adriatic coast in the south, thus holding a strategically important position. 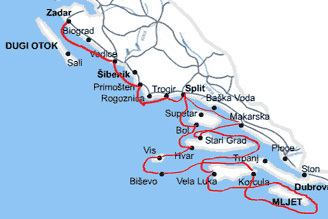 Main roads over the Posavlje, Podravina and Adriatic regions, while several smaller roads connect the coastal area with the Croatian-Hungarian border. The Adriatic apart of the Mediterranean Sea, has huge impact on the geography of Croatia, although the coastal area covers only a narrow stretch of the state territory, separated by mountains from the hinterland. Croatia stretches on over 52.000 sq km and has territorial sea over 31.000 sq km. The Croatian coastline is one of Europe’s longest (5.835 km; 1.777,7 km mainland coast and 4.058 km island coast) and has altogether 1.246 islands. Only 50 of those are inhabited, and the largest among them are Krk (410 sq km), Cres (405,7 sq km), Brac (395 sq km), Hvar (395 sq km), Pag (285 sq km), and Korcula (276 sq km), while the country’s largest peninsulas are Istria and Peljesac. Croatia has Mediterranean and continental climate, and all four seasons. Along the coast winters are mild, summers hot and dry and falls humid. Average temperature on the Adriatic coast of Croatia in winter is 5 to 10 degrees C, and 26 to 36 degrees C in summer. Sea temperature is between 12 degrees C in February and 25 degrees C in August. Median temperature ranges from 23° C in the North to 25° C in the South. The proximity of the Italian coast of the Adriatic hinders formation of bigger waves and stronger winds. The dominant wind along the Croatian coast is mistral, while waves range between 0.5 and 1.5 m. The weather along the coast is heavily influenced by the landmass, changes in atmospheric conditions are sudden and severe, may include gusts of wind, especially with arrival of cold air from the North. Position of islands also impacts the strength and the direction of winds. The fog is phenomenon relevant only in the northern Adriatic, where the average number of foggy days ranges from 10 to 20 days. On east coast of Adriatic sea regular weather prognosis on VHF-channels are broadcast every ten minutes on Croatian, English, Italian and German language. Prognosis is updated three times a day, in 07.00 h, 13.00 h and 19.00 h by local time. Weather prognosis consist of actual weather conditions, like temperature, winds etc., short prognosis for next 24 hours and information of the air pressure. Coastal radio stations broadcast information on the weather and weather prognosis on daily basis for the following 24 hours in Croatian and in English three times a day. If you are dialling from foreign cell phone you need to dial Croatian prefix number +385. Charter agencies can be found in all marinas along the Croatian coast. In some marinas there are even several agencies. Because of big popularity of Adriatic as a sailing destination it is advisable to book a vessel prior to coming in Croatia. 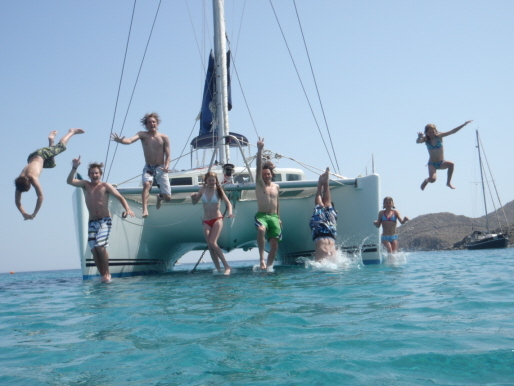 Most of charter agencies and booking agencies have their web pages on which you can easily book a yacht, motorboats or any other vessels you wish. Early booking is advisable because of lower prices and booking directly from charter agencies is sometimes better then trough booking agencies. Direct booking from boat owner is cheapest but those are hard to find on the internet (there are some in the local newspapers like Slobodna Dalmacija). When you book a boat you can also request a skipper. 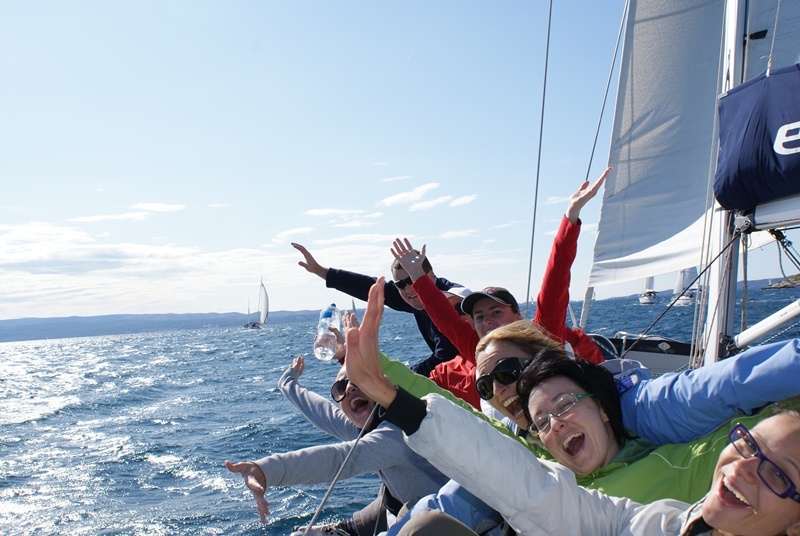 Skipper services are not usually included in prices of renting a boat and they can range from 80 to 150 Euros per day, depending on skipper skills (sailing experience, spoken languages, etc.). 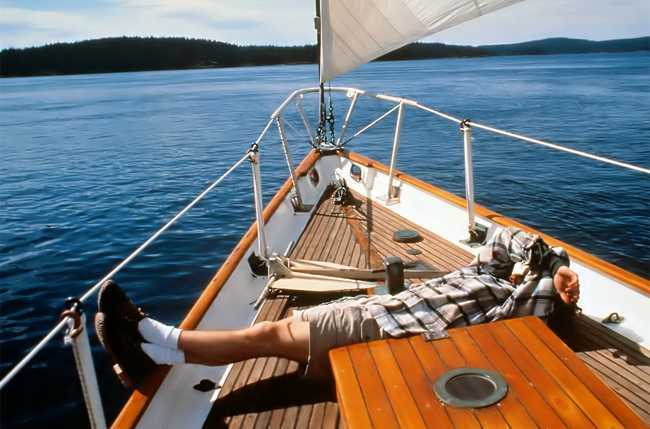 Except possibility to rent a whole boat there are some agencies which rents cabins on a bigger wooden boats like gulets. 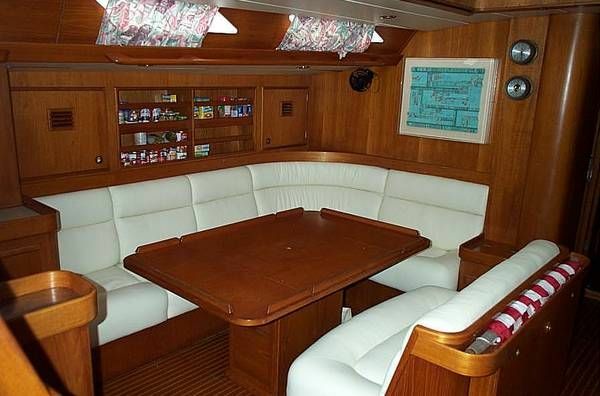 So called ″cabin charter″ is cheaper way to experience cruising in Adriatic and can be fun, but you must be aware that in that way you can not choose the route or company on the boat.